When your teeth are infected all the way to the inner pulp, you benefit from endodontic care. 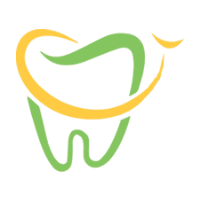 At PDADental in the Financial District, Lower Manhattan, New York, the expert team of providers helps men and women receive expert care to maintain a healthy, functioning smile. Call the office or schedule an appointment online to learn more about the staff’s expert endodontic skills. Deep inside the white enamel that makes up the outer tooth are tiny canals that contain nerves, connective tissue, and blood vessels. This inner area is the pulp. When the pulp becomes infected, you can experience pain and even tooth loss. Endodontics focuses on the care of the pulp inside your teeth. What Symptoms Suggest I Need Endodontic Care? A cracked tooth or a tooth with a prior root canal can feel painful and need endodontic care. With the right treatment, teeth with infected pulp can be treated and often saved. What Procedures Fall Under Endodontic Care? Endodontic care aims to save your natural teeth whenever possible. You could benefit from a root canal, which involves clearing out the infected pulp and replacing it with a biocompatible material, thus saving the outer tooth structure. Sometimes a root canal requires retreatment. This might occur if the first root canal fails or develops new problems. You could also benefit from an endodontic procedure known as apicoectomy, which involves removing infected root tips and nearby tissue. The team at PDADental are skilled at managing a wide variety of complex oral problems efficiently and effectively. They use advanced technologies and specialized techniques to view the inside of your affected teeth so they can create just the right treatment for your needs. What if I Suspect I Have a Cracked Tooth? Symptoms of a cracked tooth vary, but often include pain while chewing. You might also have sensitivity to hot or cold items and sensitivity when biting down on the tooth. The pain can come and go, making it hard to identify the tooth causing the problem. You experience pain in a cracked tooth because the micro movements of the tooth pieces that occur when you chew can irritate your tooth pulp. Over time, bacteria can seep in through the cracks, infecting the pulp. When infection sets in, your tooth will hurt more regularly. If you suspect a cracked tooth, head to PDADental to be evaluated and to receive endodontic treatment. To learn more about the array of endodontic procedures offered by PDADental, call the office or book an appointment online today.